Join Librarian Jen Rutner to learn tips and tricks to get the most out of your Google Searches. 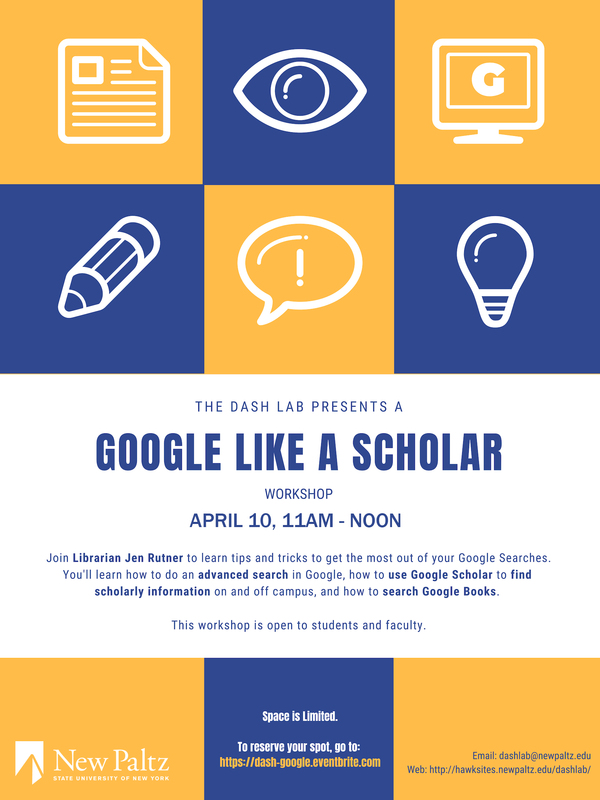 You’ll learn how to do an advanced search in Google, how to use Google Scholar to find scholarly information on and off campus, and how to search Google Books. This workshops is open to students and faculty.